According to New Jersey Attorney General Grewal, New Jersey is close to legalizing the recreational use of marijuana, perhaps as early as February, and when it does, law enforcement will need to be prepared to determine who is under the influence when it comes to breaking motor vehicle laws. The department has already announced plans to significantly increase the number of drug recognition experts and drug-sniffing dogs on-hand. Because there are no national standards for impairment when it comes to blood testing for marijuana, the department will have no other option other than to retain these additional drug recognition experts, which lends itself to other problems, such as those caused by subjective, human judgment. New Jersey will also need to build a standard—a task that will undoubtedly take some time, and it will be incredibly important to expunge existing records. 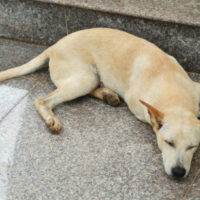 A proposal known as “Quijano’s bill” to increase convictions for animal abusers by providing cats and dogs with a legal advocate in court has also been proposed. It would allow attorneys and law students to offer their services, pro bono, to argue for convictions in animal cruelty cases. The move is being pushed by prosecutors, who sometimes complain that animal abusers do not receive anywhere close to the maximum punishment allowed by New Jersey law. A similar proposal will also be reintroduced in New York early this year. A new law that creates an “extreme risk protective order,” which allows judges to be petitioned to have someone’s weapons seized and prohibit them from buying more if they are dangerous to themselves or others. Being convicted of a crime in New Jersey or New York carries with it a number of penalties. The law can be especially confusing when one practice goes from being banned or punished by a particular sentence to legalized or punished more harshly. However, help is available: Our New Jersey and New York criminal defense attorneys have been representing clients throughout Bergen, Orange, Rockland, and Westchester Counties and surrounding areas for more than 25 years. Contact us today at the office of Phillip J. Murphy for a free consultation to find out how we can help.